Cloud storage is the latest and greatest way to keep all of your files, pictures, music and videos safe and secure. When you store your info in the cloud, your data is safe and secure for as long as you maintain your account. Right now you probably backup your data on external hard drives, disks or flash drives, that is, if you back up your data at all. Millions of people don’t think about backing up their files, and when tragedy strikes, their precious memories are lost forever. Most businesses do backup their data because they can not afford to lose important information such as tax records and customer files. External backup methods are cumbersome. In the first place, you or your employees have to remember to back everything up, every day. These drives then have to be stored in a secure, tamper and disaster proof location. Online storage companies take care of all of that for you. Backups are performed automatically, if you so choose, and all data is safely locked away in their secure facilities. The best part about backing up your data in the cloud is that you can access your files from anywhere in the world! How many times have you had to put off your family vacation because of work? How many times have you had to run to the office because the boss needs to see the file you were working on? With cloud storage, you can access your files from anywhere you have an internet connection, and you can send these files to anyone you choose. With physical backup methods you have to drag all of your drives with you if you plan to work away from the office. This is not only a huge hassle, it also increases the chance that something could happen to your data. You could lose your USB drive – they are pretty small and very easy to drop or misplace. You could drop your external hard drive – a good fall could erase or corrupt your files. No matter how careful you are, all sorts of things could happen. That is why they are called accidents, because you don’t plan for it to happen to you. 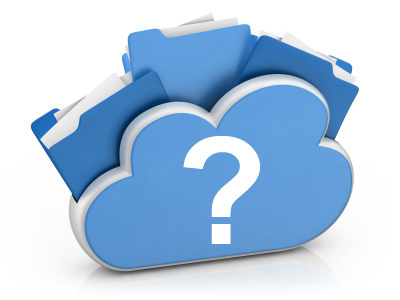 Are You already Using Cloud Storage? Believe it or not, just about every person that uses the internet, uses cloud storage. Where do you think your email is stored? How about the pics and videos you loaded onto Facebook? All of that is stored in the cloud on your email provider’s servers or the social network servers. This type of storage is different than backing up your files, though. When you are backing up important data, security might be more of a factor. Not to say Facebook or your email provider aren’t secure, but when it comes to sensitive material, you want to be doubly sure. Companies like MyPCBackup and ZipCloud provide among the highest industry standard security available. All of your data, from the time it leaves your computer, while in storage and all the way back to when you restore, your data is safely encrypted. You want to know the price of something before you buy. Before you invest your hard earned money, you want to be sure that the product is worth the price. There are literally thousands of online storage service providers available these days, and the number of new companies climbing on board is steadily rising. For example, Google and Dell have recently joined the club with their own online storage service. Prices vary from one company to another, but since it is such a fiercely competitive business, they try to remain affordable. MyPCBackup and ZipCloud offer great plans for less than $5 per month. Sign up completely free, and you can cancel anytime. MyPCBackup offers unlimited storage space. This is great if you have a lot of large video files you want to protect. ZipCloud has added a new feature not seen with other online storage service providers, or any other type of company for that matter – anytime money back guarantee. Most companies will let you try the service for a couple of weeks or a month, but with ZipCloud, you can cancel anytime you decide you no longer want to use the service and the unused portion you paid, will be refunded. Now that you know what cloud storage is, and how beneficial the service is for everyday use and for businesses, why not give it a try? Most companies have free trial offers and some offer small free plans that allow you to use the service without paying anything at all. This gives you the chance to try several companies without investing a dime. Many people are happy making decisions based solely on product reviews, but if you want first hand experience, the free trial or free account is the way to go.